Two ships full of migrants desperate to reach Greece capsized on Friday, leaving at least 22 people dead. At least 140 people were rescued from the two wrecks, while a few are still missing. At least two children were among the dead. 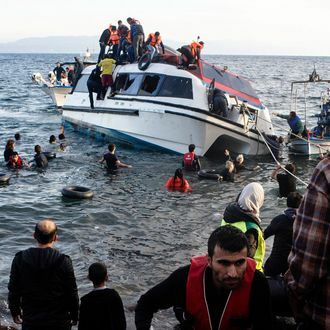 On Wednesday, another 16 migrants died when a cheaply made wooden boat broke into pieces. Near Spain, 35 migrants are still missing from another shipwreck coming from Morocco; six bodies have been found.